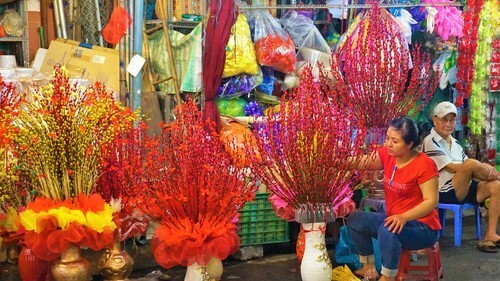 From every corner of Saigon emanates the Tet ambience, streets bustling with shoppers and markets teeming with flowers. 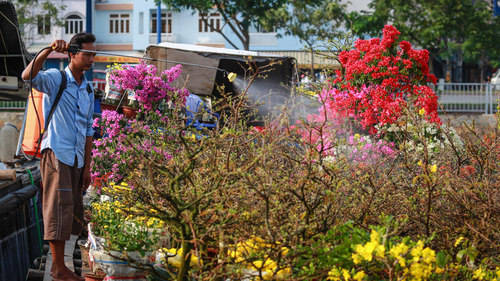 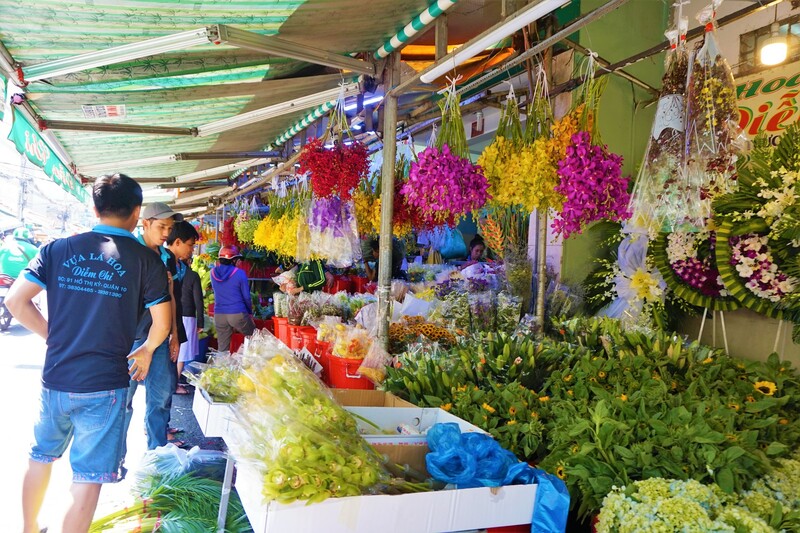 Just as the Quang Ba flower market is a not-to-be-missed place to soak up the holiday spirit of Tet in Hanoi, Ho Thi Ky in District 10, dubbed as “Little Da Lat”, is a place to be for residents of Saigon. 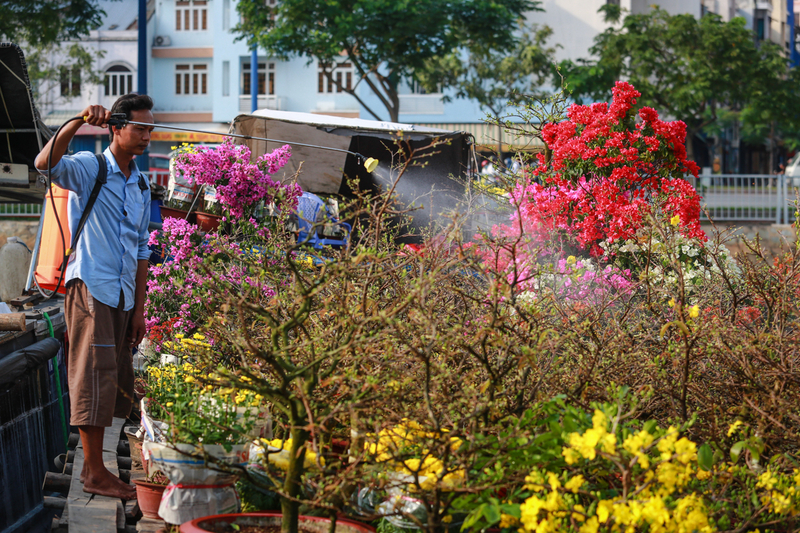 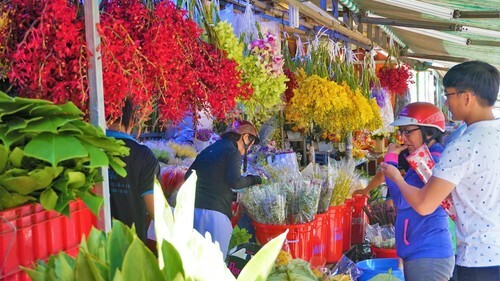 A week before the Lunar New Year holiday peaks on Tuesday next week (the first day of the first lunar month), Saigonese roam through the market browsing through hundreds of varieties of fresh flowers brought in from Da Lat, the city of flowers in the Central Highlands. 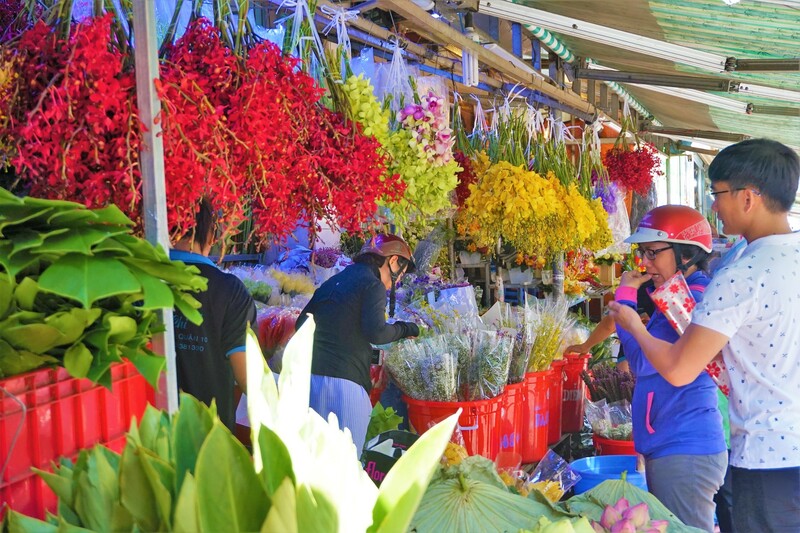 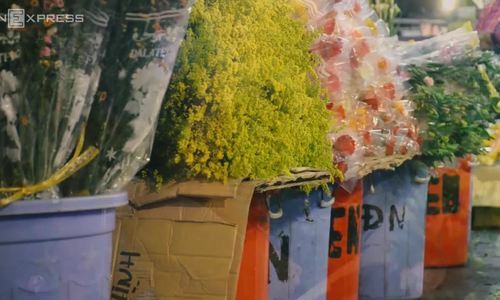 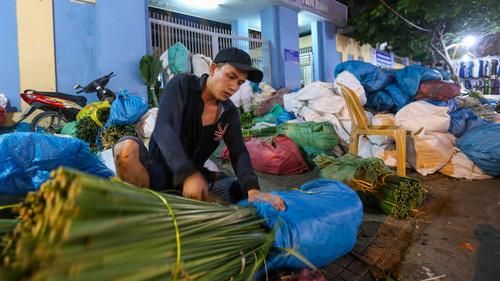 The market is open all day and is at its most vibrant between midnight and 3 a.m. as vendors hurriedly preparing large volumes of fresh flowers to accommodate the Tet buying spree. 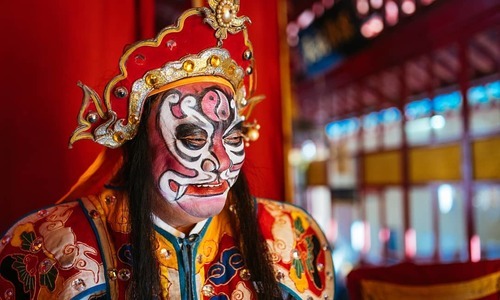 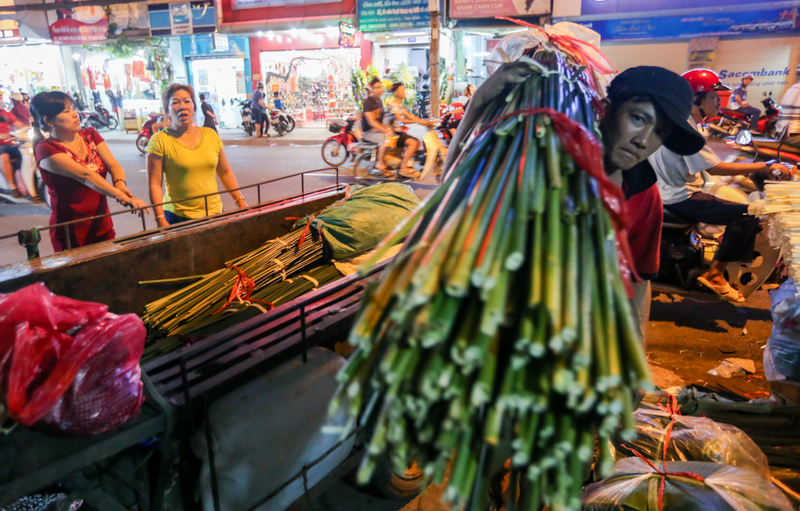 Vietnamese people have a long tradition of offering fresh flowers to deities and their ancestors during the country’s biggest and most important festival to pray for luck and peace. 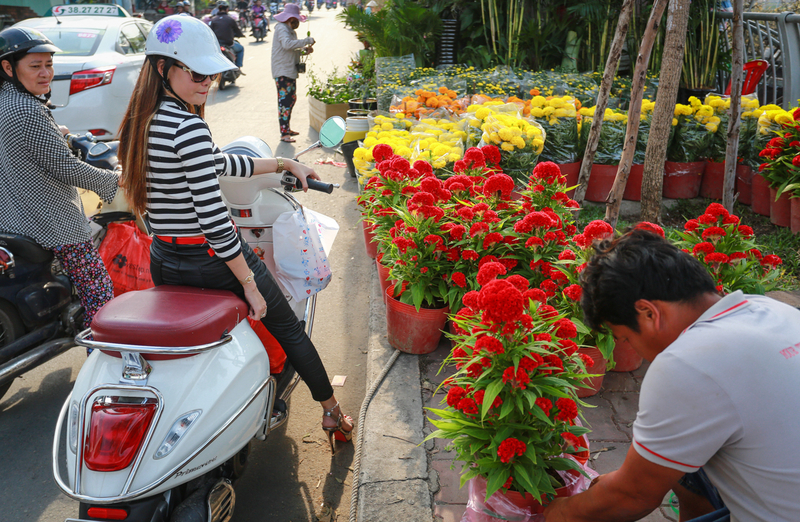 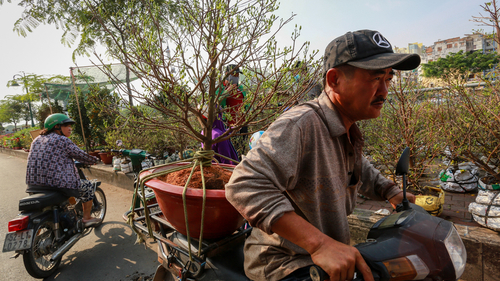 Le Thi Nguyet, a flower vendor, told VnExpress International: “I have been here for more than 20 years and now is the peak season of the market. 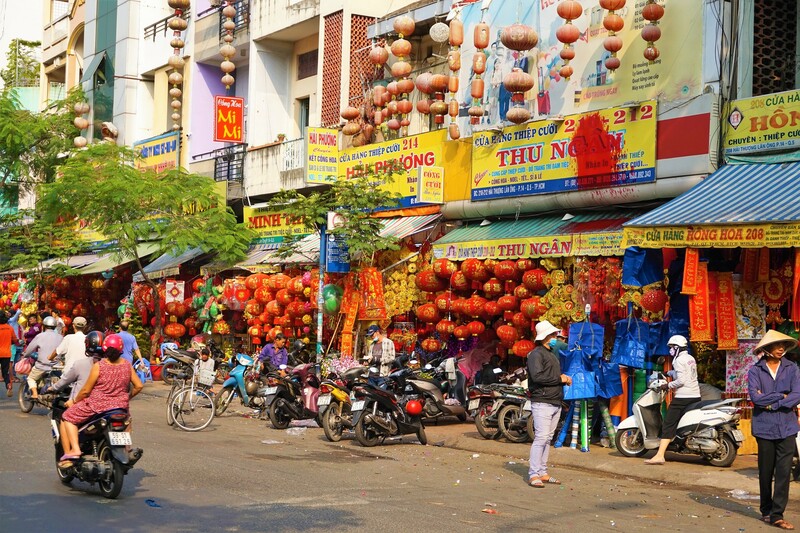 In the lead up to Tet, both sides of Hai Thuong Lan Ong Street in Saigon’s District 5, also referred to as its Chinatown, are shining bright with red and yellow colors of parallel sentences, hand scrolls, lucky money envelopes, lanterns, artificial yellow Mai and peach blossom trees as well as other decorative items for Tet. 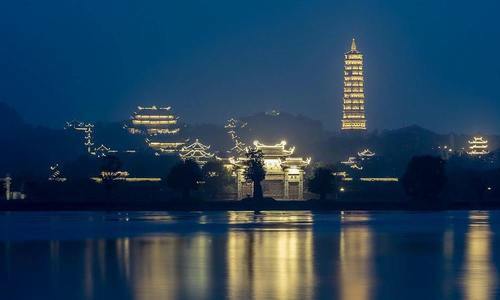 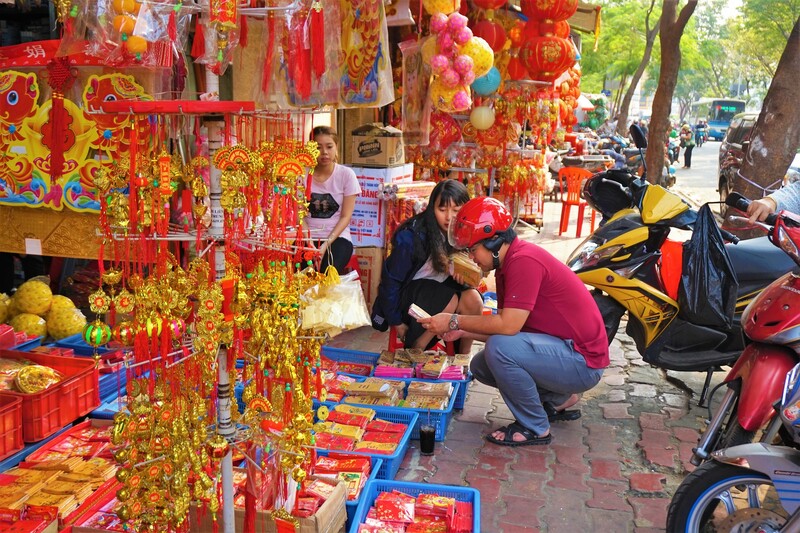 Many Chinese and Vietnamese people credit their business success and happy life to divine blessings, so every family maintains the custom of hanging hand scrolls, lanterns or calligraphy paintings in red, a symbol of luck and prosperity, in front of their homes. 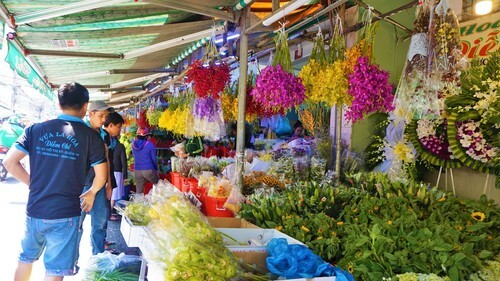 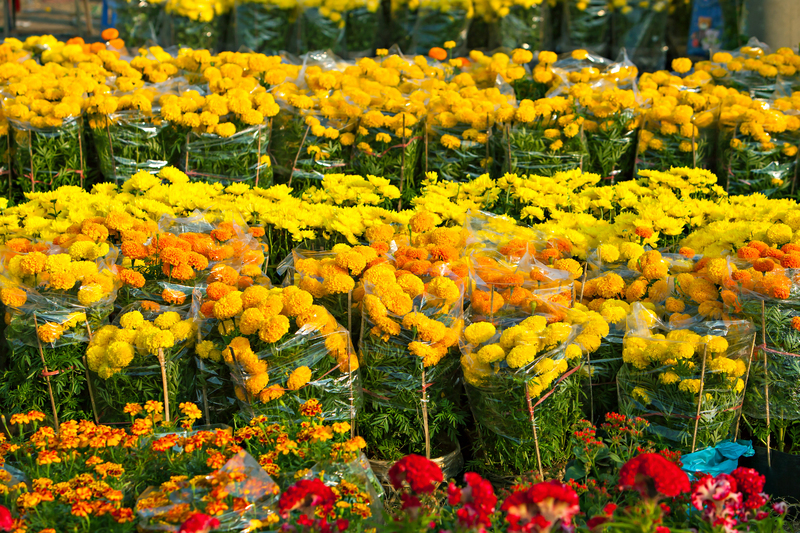 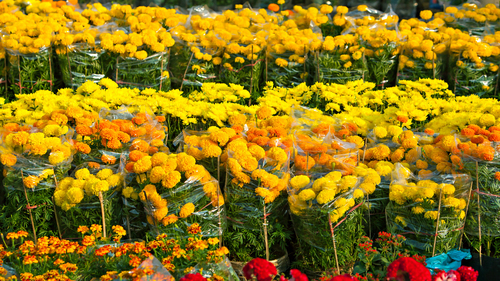 A unique flower market that opens once a year in Saigon springs up at the Binh Dong Wharf in District 8, around 30 minutes from the city center. 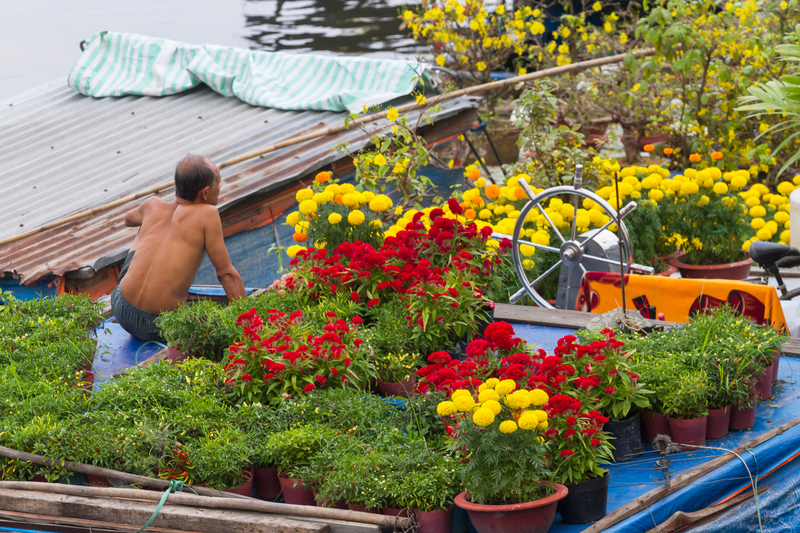 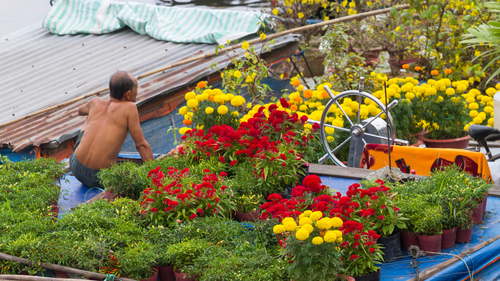 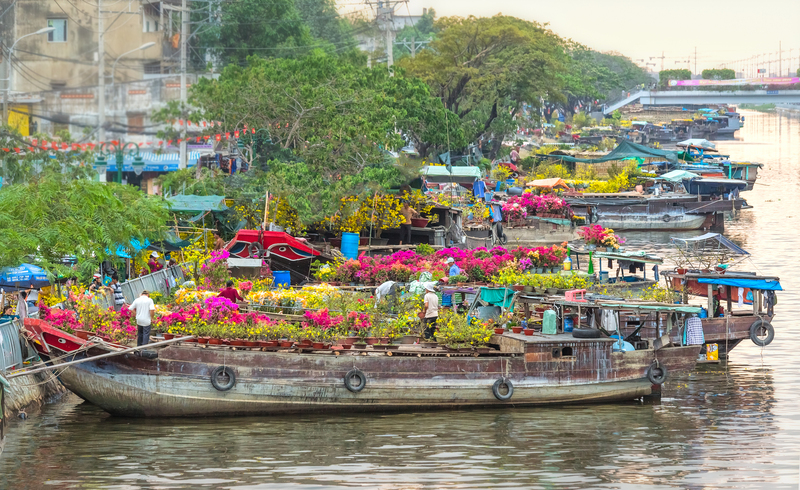 Boats laden with thousands of flowering plants come from different provinces in the Mekong Delta to gather here. 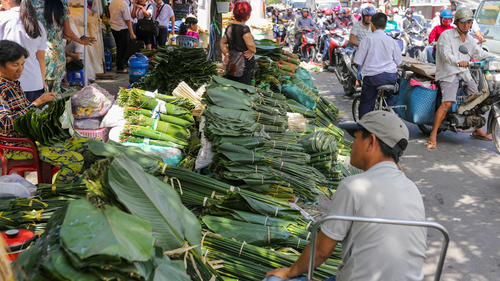 This market has become an indispensable part of Tet in Saigon for many years now. 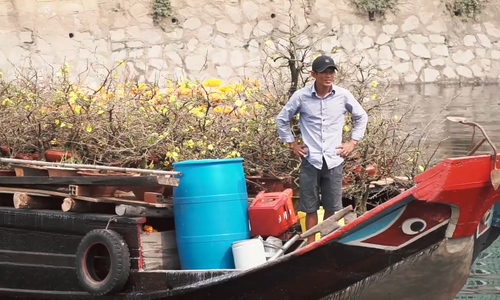 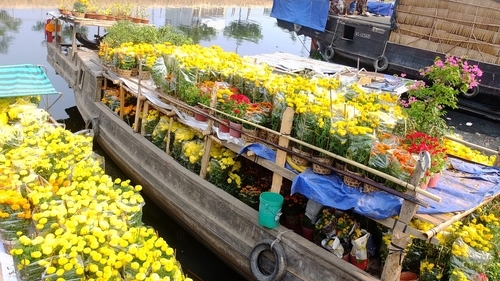 For flower growing farmers in the Mekong Delta, Tet is the most important time of the year, and this is an annual journey embarked on with great hopes. 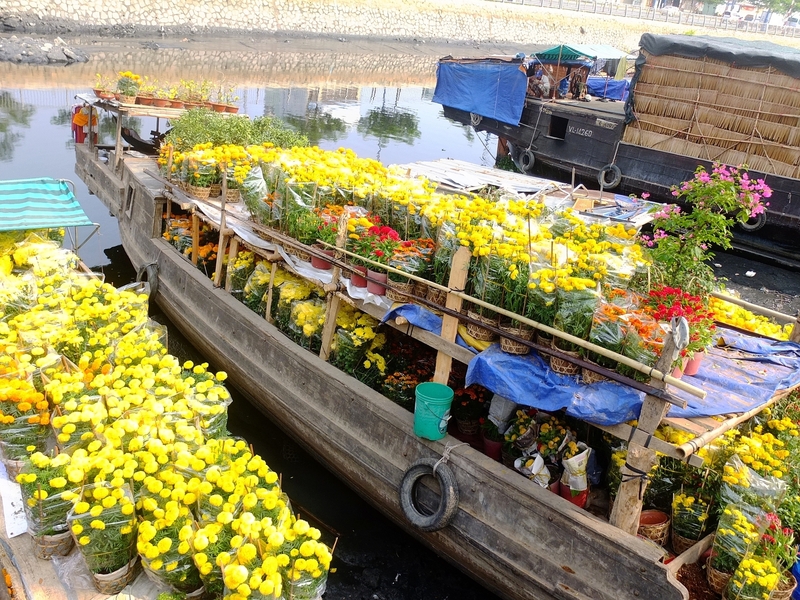 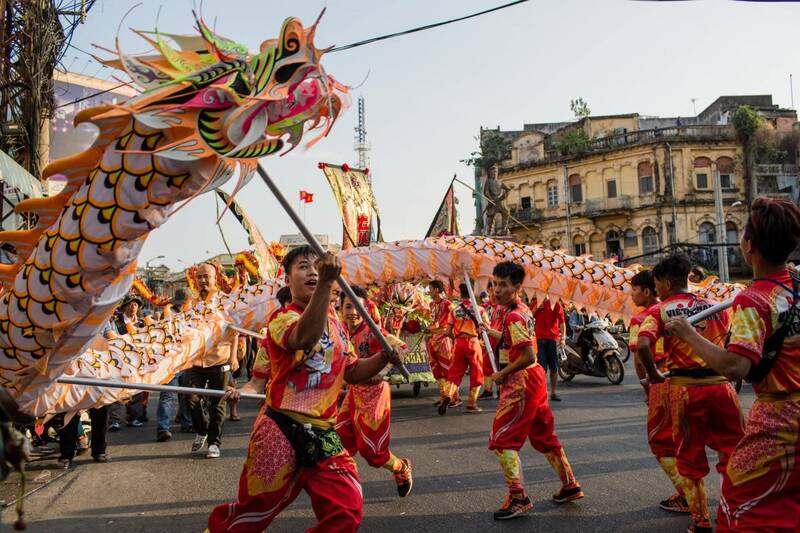 Two boats start coming about weeks before the festival, full of colorful flowers and ornamental plants, kumquat trees, which symbolize wealth in Vietnamese culture, yellow Mai plants with a lot of buds and flowers, and many other varieties. 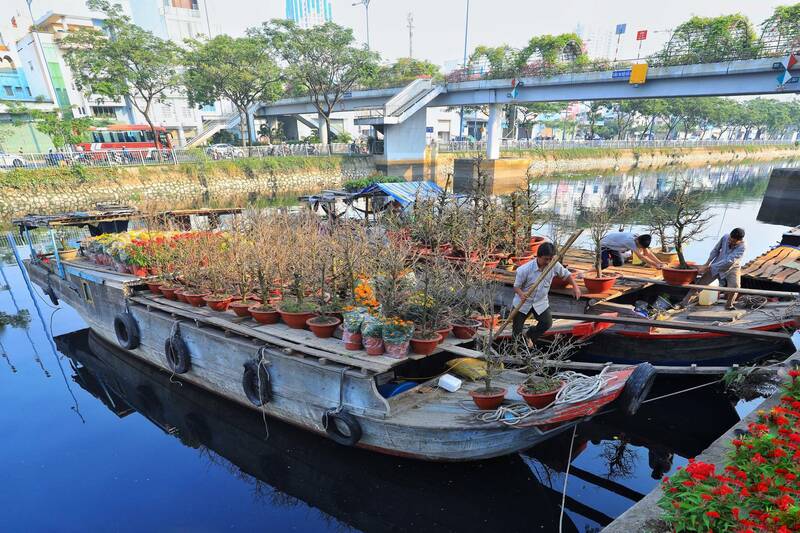 The boats dock along Tau Hu Canal. 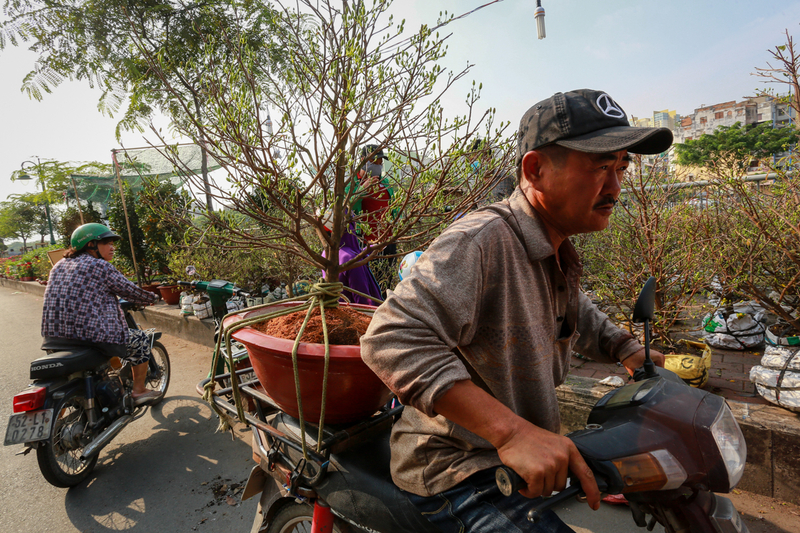 Vietnamese people display vividly red and yellow flower pots in red front of their houses, signifying wishes for a lucky and prosperous year, thus facilitating the “lucky Tet trees” business. 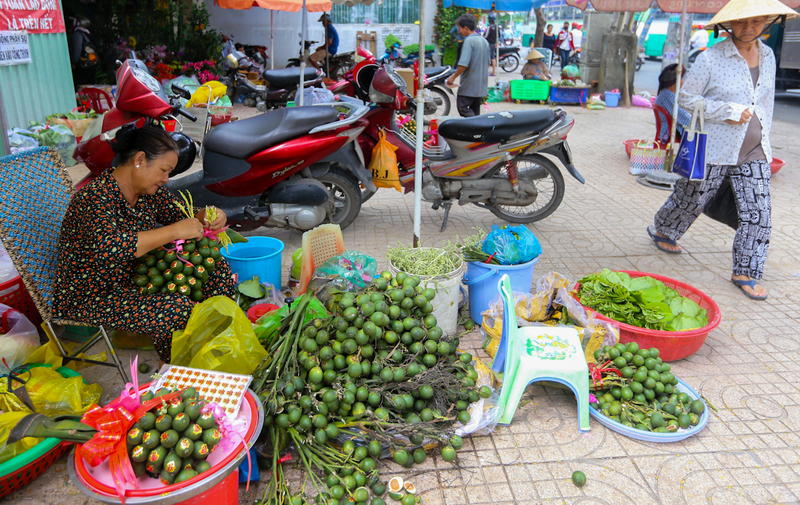 Le Quang Sung Street in District 6, near the iconic Binh Tay Market, specializes in selling betel leaves and areca nuts, which are placed on all family altars. 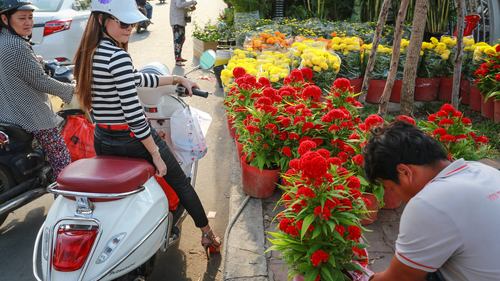 The Tet season is the busiest time for this market, and it sports added color and fragrances at this time. 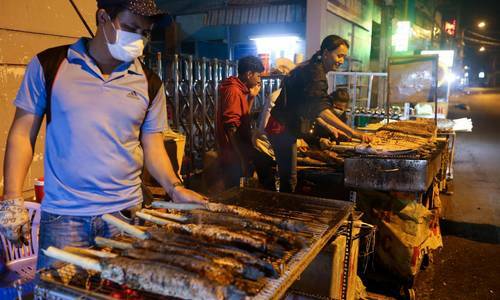 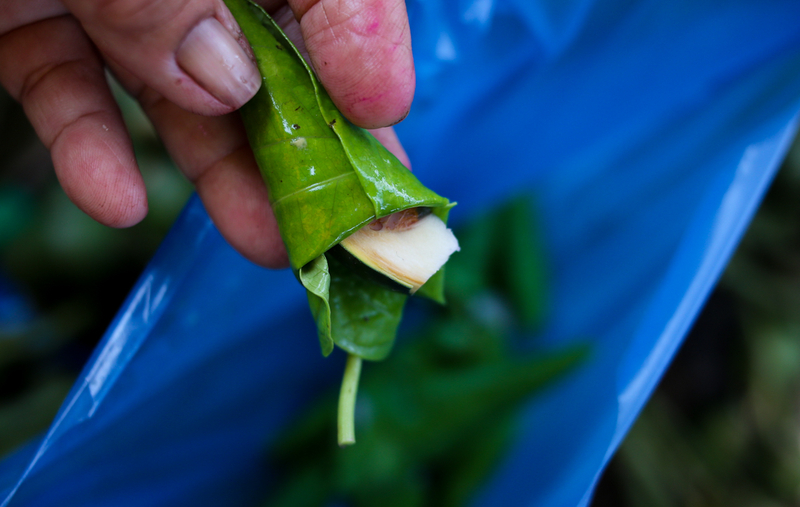 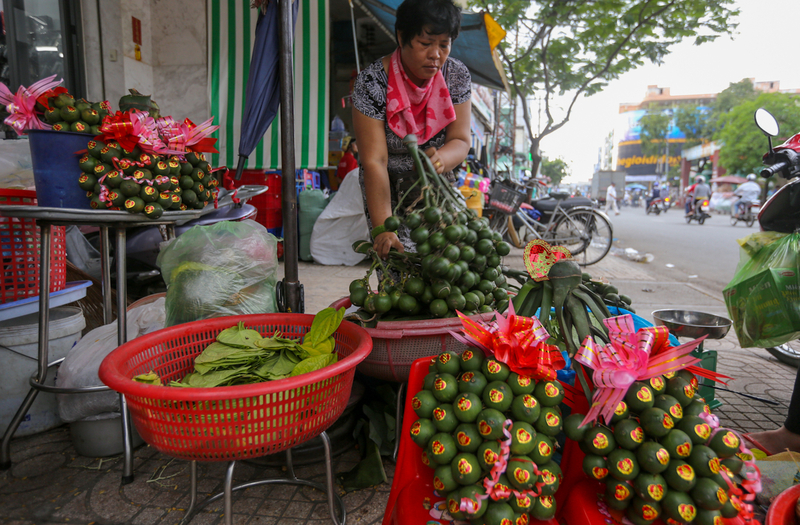 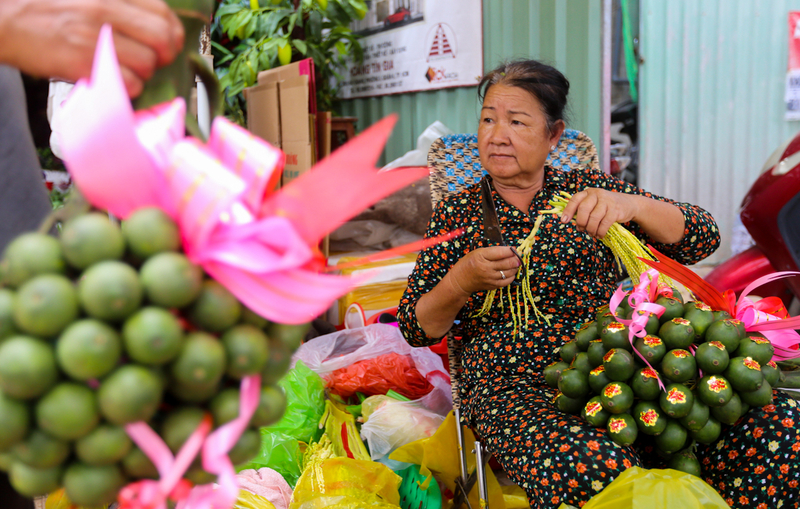 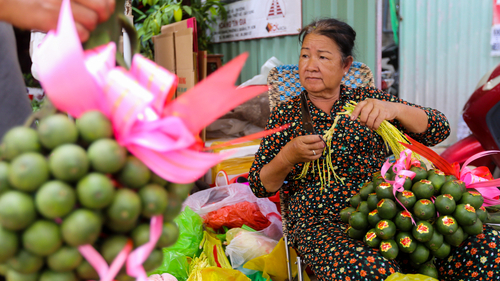 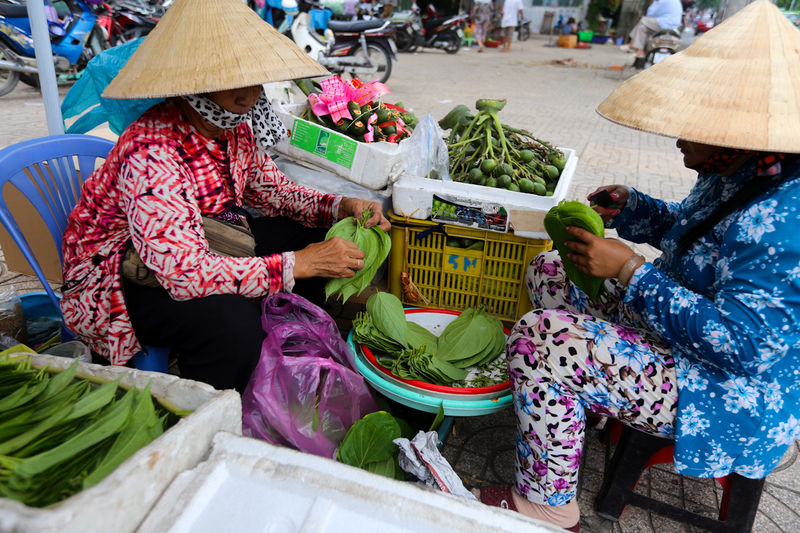 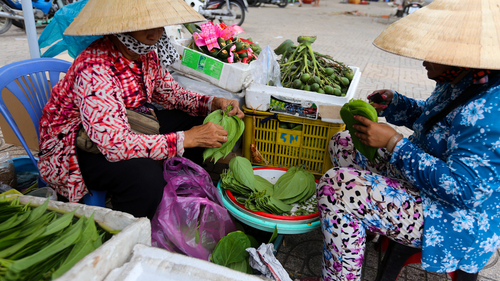 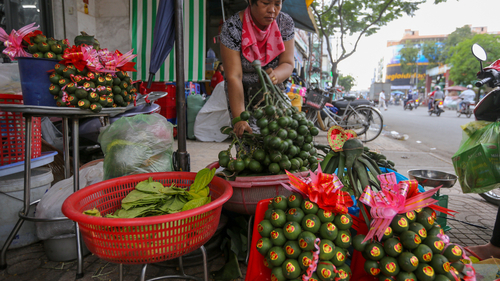 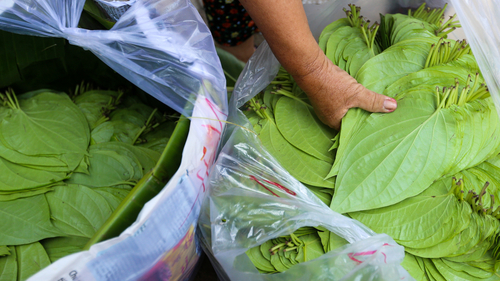 The market, with most vendors above 60 years old, has existed for more than half a century in Saigon, but its regular business has gone down as Vietnamese have quit the practice of chewing betel. 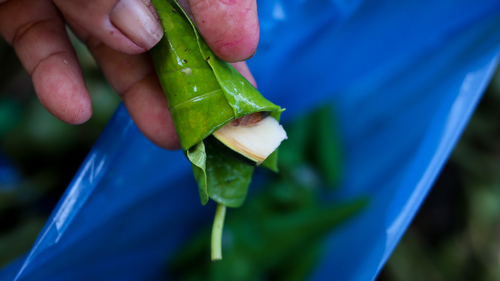 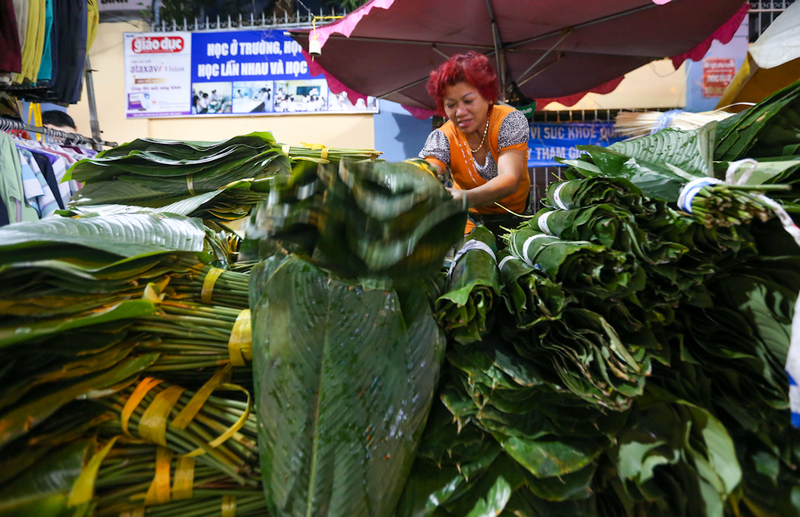 The custom of offering betel and areca is said to date back to the reign of the Hung Kings. 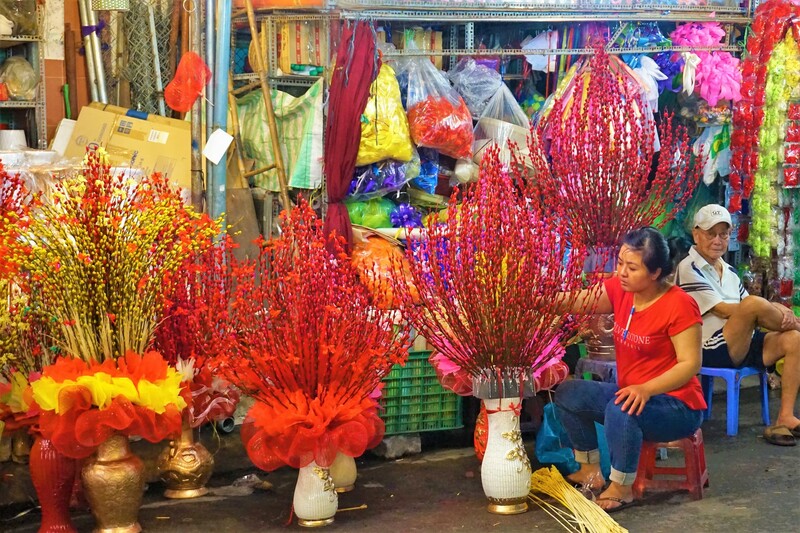 It is associated with the “Legend of Betel and Areca” about a wife’s fidelity to her husband and the love between two siblings; therefore, the custom is a symbol of love, brotherhood, family, and happiness. 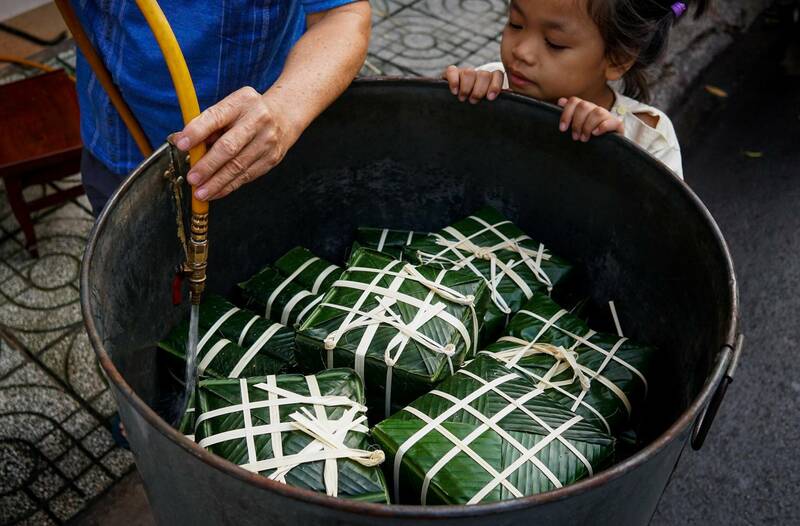 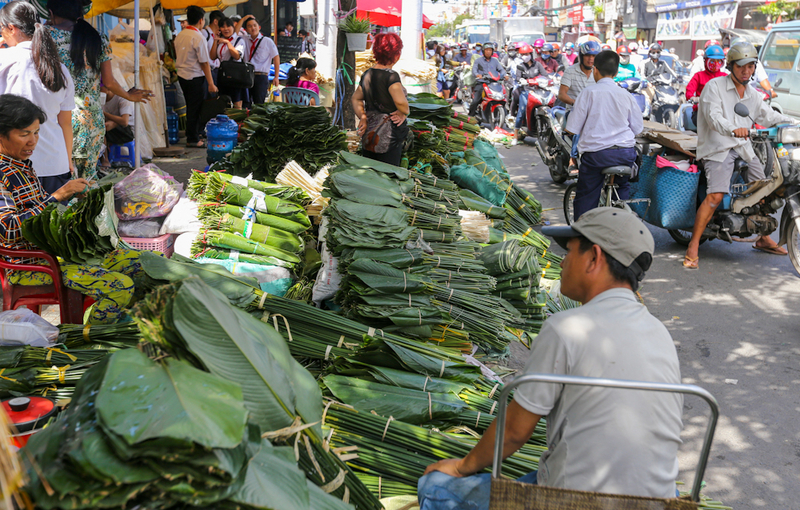 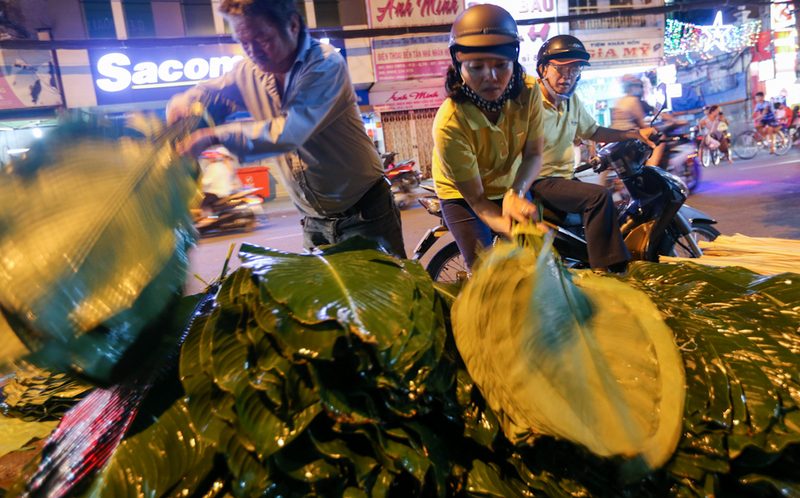 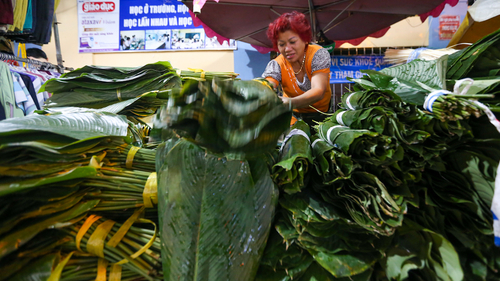 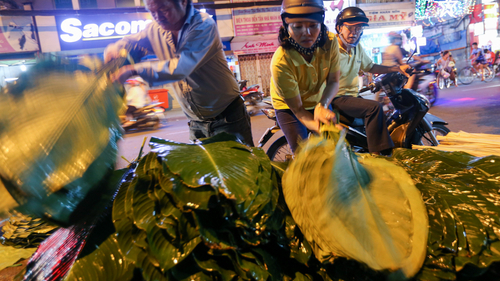 This market is sustained by the most important dish of the Tet festival, the banh chung, square-shaped sticky rice cake wrapped in large green leaves known as la dong (phrynium placentarium) with mung beans and pork. 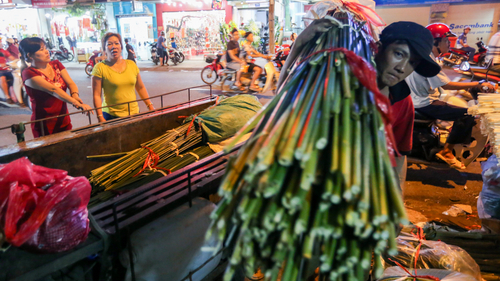 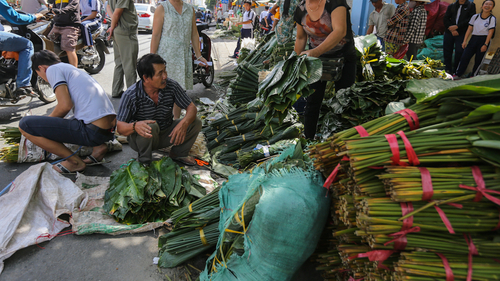 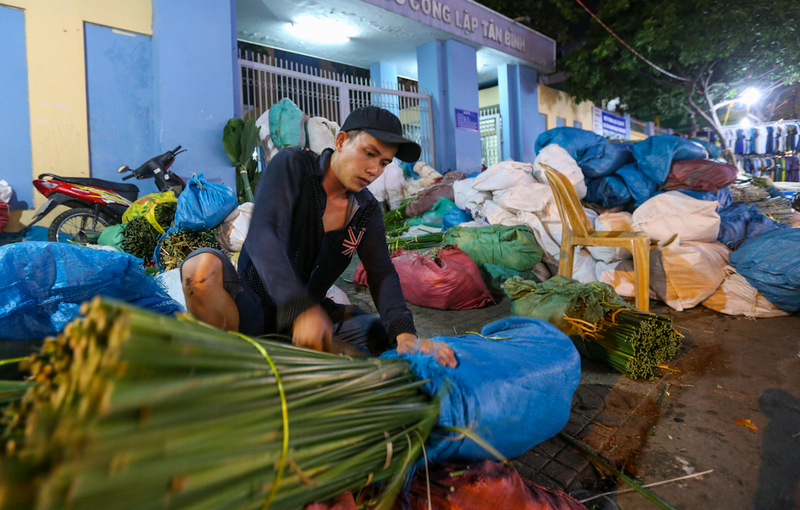 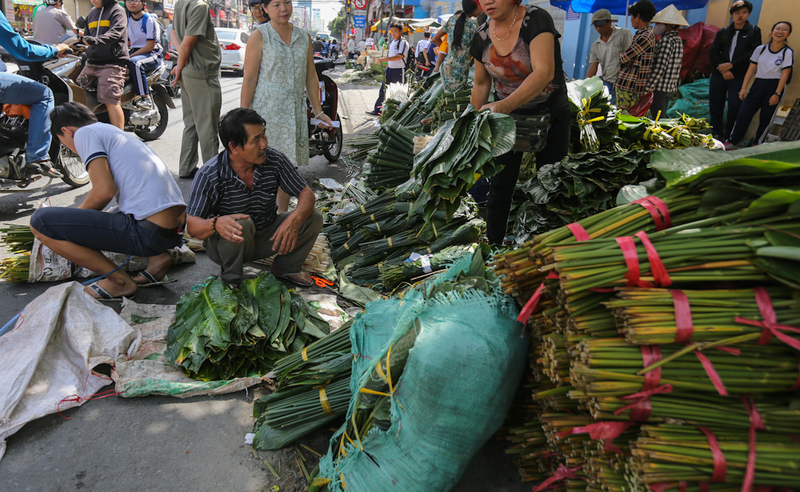 Just a week before the holiday kicks off, Pham Van Hai Street in Tan Binh District wakes up to the holiday spirit as shoppers flock to buy the green leaves, lat (bamboo strings) and square wooden molds for making the traditional Tet dish. 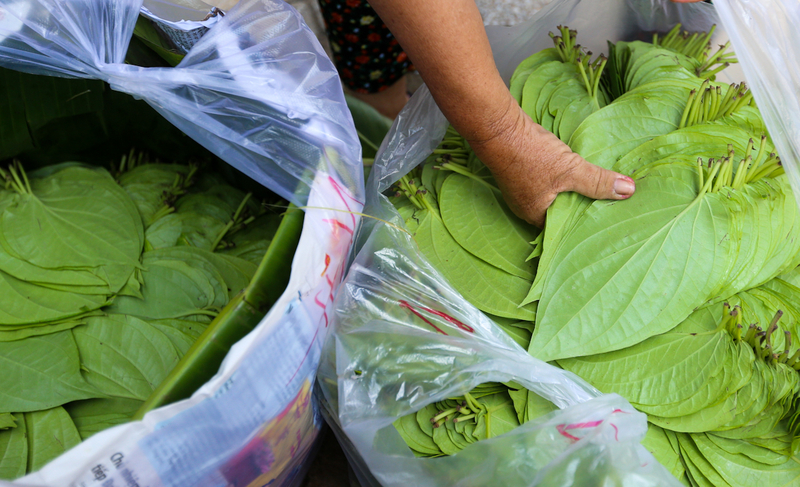 The leaves mostly come from the Central Highlands province of Lam Dong and the southern province of Dong Nai. 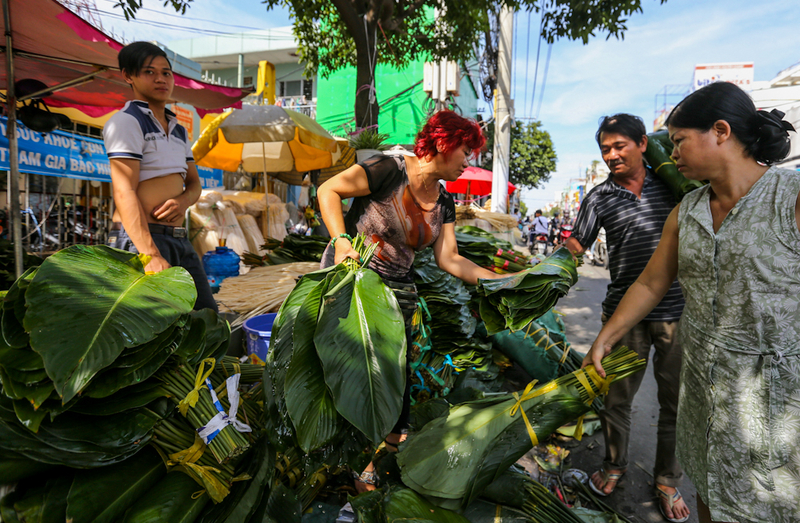 The market, which opens until noon of February 4 this year, is another important cultural feature that adds to Saigon's festival fervor and feel.